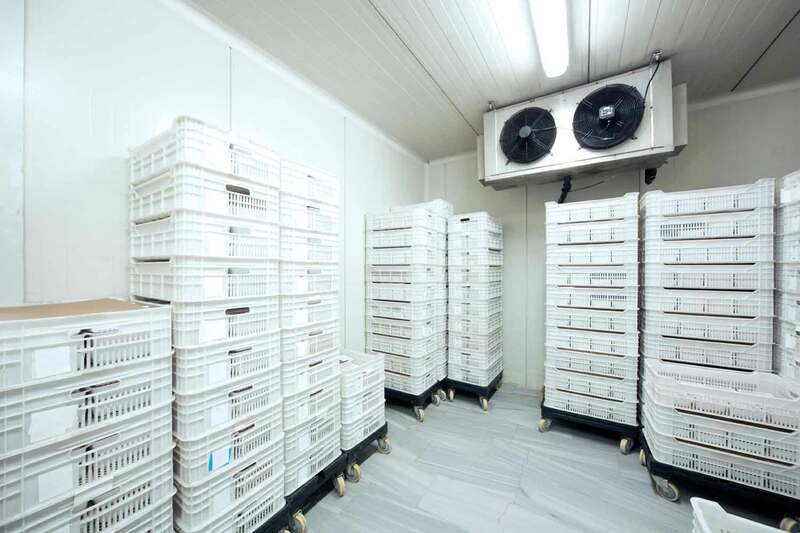 Ideal industrial cold rooms for: supermarkets, warehouses for foodstuff and for fruit and vegetable, storehouses for frozen products, maturing storehouses, slaughterhouses, dairy industries etc. 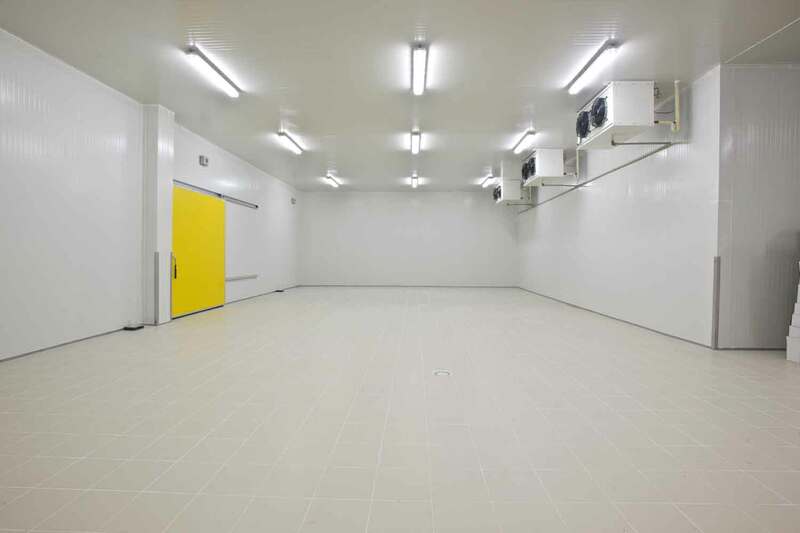 GROSSO ROOM panels are intended for the production of industrial cold rooms and storehouses for foodstuff conservation at low temperature, at zero degrees or at a positive temperature. Also for laboratories that process products in a controlled atmosphere. GROSSO ROOM panels assure extremely fast assembling, perfect insulation thanks to the quality of the materials, and to the available thicknesses and also to the observance of hygiene and environmental regulations. heights 2010 – 2210 – 2410 – 2810 – 3210 – 3610 mm and 3 insulation thicknesses 70 – 100 – 150 mm. The minimum internal dimensions of the cold rooms are 1810×1810 mm and can be enlarged on each side by means of 200 mm large modules. 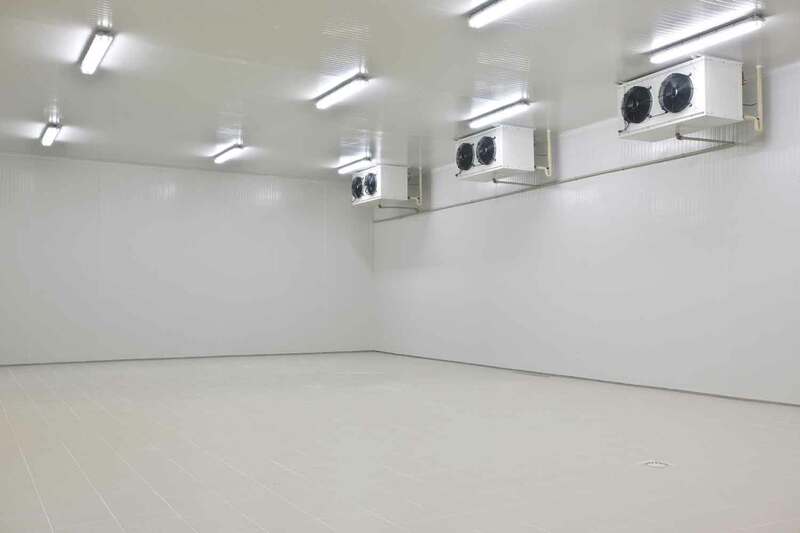 Our refrigeration engineer can create cold rooms for any bespoke dimensions or practical requirements, just contact us to discuss. 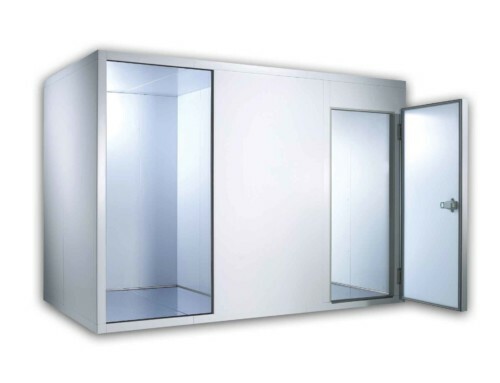 Cold rooms are available even without floor panels and provided with fixing profiles. Inside partitions can be assembled in order to form several independent or communicating inner spaces.